The announcement went out with great fanfare. The Wedding Bells sounded. But is the Microsoft LinkedIn marriage one step closer along the path to Skynet and judgment day? LinkedIn’s stock was hurting. Microsoft bought billions of pieces of professional data to make Cortana and other A.I. projects better. But what does it mean for you as a LinkedIn member? I was brainstorming with Jerome Knyszewski about our upcoming "Linked Intelligence Business Growth Summit online." During this conversation, we thought it'd be fun and insightful to speculate like they do for the upcoming iPhone. We'll keep our suggestions on how to use LinkedIn even better. 1. Your profile photo became even more important. “Like it or not, we ALL judge books by their covers! So What does YOUR LinkedIn profile picture say about you?” asks Jerome Knyszewski. Microsoft may integrate LinkedIn into a wide swath of products including Skype, Office 365, Cortana and more. “Together we can accelerate the growth of LinkedIn, as well as Microsoft Office 365 and Dynamics,” Microsoft CEO Nadella said. In this visual world don't you think your profile photo inside these products that is clickable to your LinkedIn profile is a likely outcome? 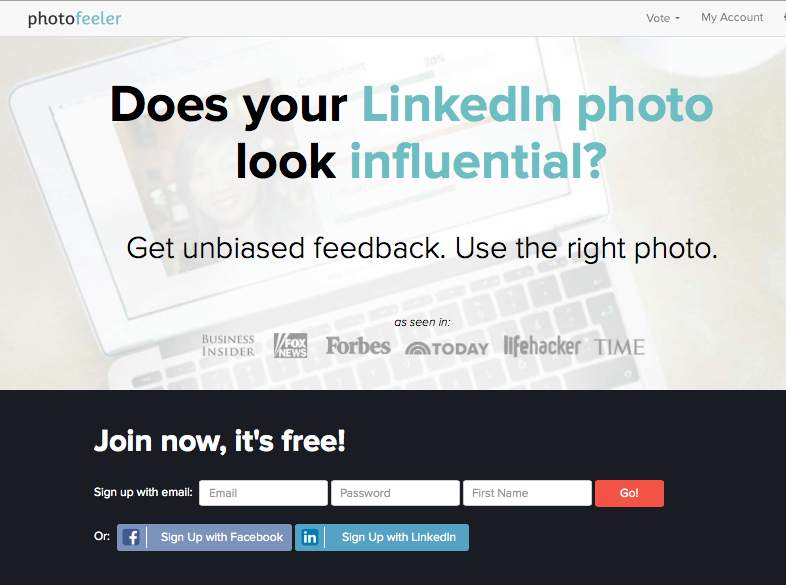 Here's how you know and validate you have an uber effective profile photo. Jerome created an account with Photofeeler.com to test. He uploaded pictures at different angles, colors, cropping, stern look or smiling, etc. to test their impact. First impressions are priceless and not even MasterCard can buy you the job or business deal if your photo makes you look incompetent or unlikable. This picture scored the lowest despite Jerome wearing a professional shirt. Jerome's wife snapped this picture. Jerome used this picture as his profile photo for almost two years but retired it after the test results. The day he swapped his photo, his agency signed their biggest client to date. Coincidence? Maybe. You must test. That's the crucial point. High scores here but the feedback almost all focused on one key point. Don't crop too much of your head. This dramatically reduces likability. This photo was the winner. 2. Your data now less private, more widely used. Was LinkedIn member data the biggest value Microsoft bought? They could certainly leverage this to better target Bing ads and other “recommendations” inside their products. 433 million+ members with between 20 and hundreds of data points for each member means Microsoft potentially just made a BOLD move for the “Iron Throne” to rule social advertising and social selling. Maybe they saw this as a way to compete with Google and YouTube, Facebook and Instagram who are harvesting this lucrative Market. Privacy part 2: LinkedIn lost a class action lawsuit based on spamming and faces the same consistent privacy challenges of other social networks. The $13 million payout for this class action is a measly sum compared to the $26.2 billion purchase. Will Microsoft and LinkedIn really protect their users’ privacy? Past behavior leaves you free to be suspicious, but Microsoft has a track record of fighting for their users’ rights. Microsoft Just won a landmark privacy case against the Justice Department, though it protected privacy for data stored outside of the U.S.
3. Your newsfeed will see more mega changes. LinkedIn is emphasizing videos. Right now it's prioritizing YouTube videos. Could they be training members to look for and use LinkedIn live video (modeling Facebook's live stream option)? The last 15 times I've logged in, I've seen a YouTube video at the top of my newsfeed. Then a sponsored ad followed by another YouTube video or photo update. They buried the articles three-pack “Stories you can't miss today on LinkedIn” section between nine and 21 posts or more down on your newsfeed. In 2014, 2015 and early 2016, the three-pack was front and center, first in your news feed. No wonder many members have seen 60 percent to 95 percent drops in readership to their articles. Now that LinkedIn has gotten hundreds of thousands or millions of member articles indexed in Google, was that their end game? I'll write a separate article on how we're responding to changes so LinkedIn’s article tool can still be valuable to you. It's fun to talk about what the next iPhone might have or do. Maybe it will grow tiny robot legs and dance a jig across your desk. I find it almost as fascinating and far more useful to speculate about business tools. While many members have howled about LinkedIn’s changes leaning more toward judgment day, Microsoft buying LinkedIn will give strategic-minded first-movers a huge advantage. What is one prediction you have to gain from the LinkedIn Microsoft marriage? Comment below and let's have a lively, profitable discussion.